I picked up the below Ball Mason Jars (pint & a half) from Wal-mart as I felt these were the best bang for your buck ($10 for 9) and they can go in your freezer as well. Note: that anything larger than this size can not go in your freezer IF you want to use it for something else. I put about 8 blackberries in one jar and cut up some watermelon in another. I took a spoon (as I don’t have a “masher” utensil) and just started cutting/pressing the fruit into the bottom of the jar to help the juices come out of it. 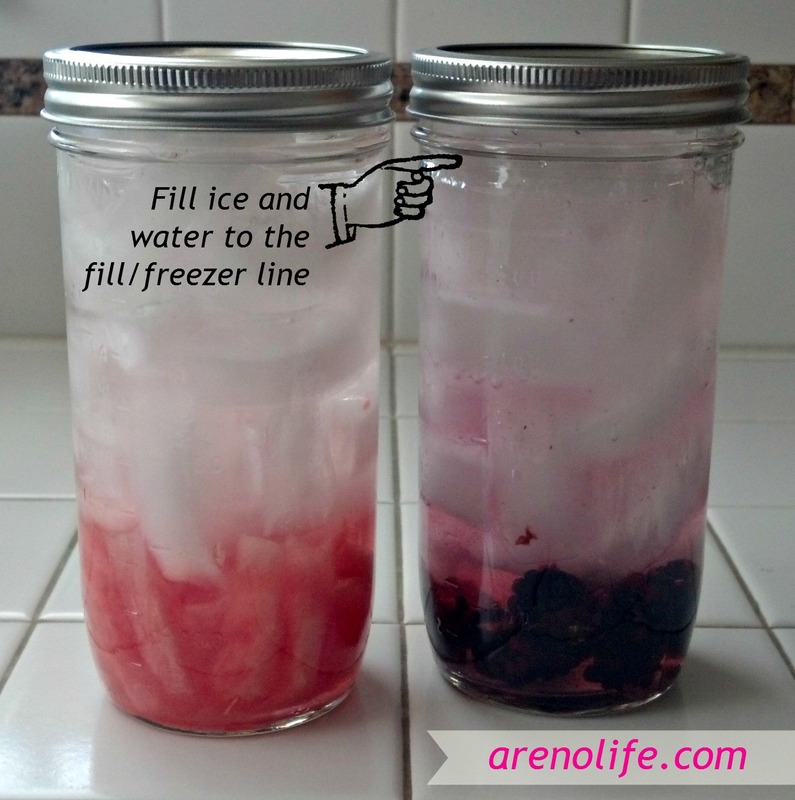 Then, I filled it with ice and then water to the fill/freezer line, before putting the lid on the jar. Once the lid was on tightly, I flipped the jar upside down to move the water. You don’t want to do this too many times (a.k.a. don’t shake it) as you can bruise the fruit and it can change the flavor to not be “as crisp” if you get what I mean. 😉 Then, I left these on my countertop near a window. I thought I would see if the sun does anything to them like brewing sun tea. So I’ll report back to you about how they are soon. So far my favorite flavored water is Watermelon with 2-3 mint leaves. I have found that if you put too much mint, it reminds me of spearmint which is a little overpowering.